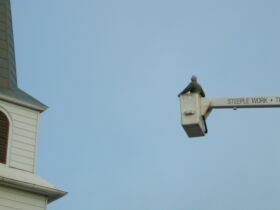 "Steeplejack" is an old name for a fellow who works on steeples. 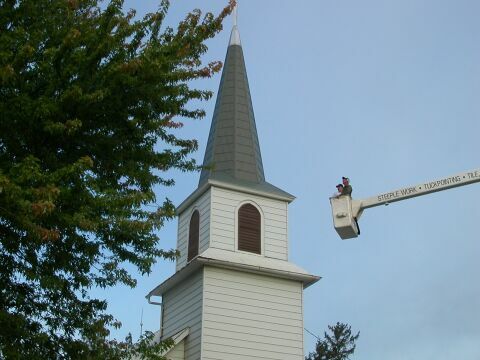 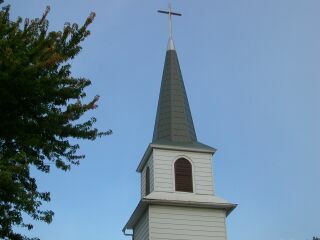 St. John's recently had its steeple reshingled. 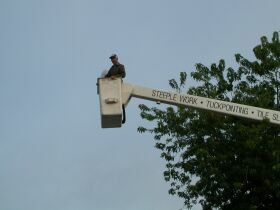 Here are some pictures of Harold going up afterwards with one of the fellows, in a bucket on the boom truck, to inspect their work. 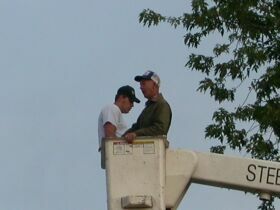 I guess they're not afraid of heights!